Klobuchar and Smith are cosponsors of a bill to exempt “farms” (including giant animal feeding operations, CAFOs) from reporting “releases of hazardous substances from animal waste” and releases from the “application, handling, and storage of “pesticide products.” A focus of attention has been two highly toxic and smelly compounds emitted in large amounts from CAFOs: ammonia and hydrogen sulfide. Read the bill here: https://www.fischer.senate.gov/…/400ea859-eb96…/edw18106.pdf . S. 2421 Read a gloating press release about it here: https://www.fischer.senate.gov/public/index.cfm/news… . Consider the context: Minnesotans are experiencing lots of problems from CAFOs: air pollution, water pollution, stinks, dust. Health problems and diminished quality of life are what oversized animal feeding facilities bring. One might think that Klobuchar and Smith would be introducing legislation to get these problems under control. But no, they are seeking to reduce the weak protections environmental laws now provide. Why do Amy Klobuchar and Tina Smith seem to have no fear that betraying their constituents could cost them their seats on the Senate Gravy Train? Would it be different if we actually had a “two party” system in which both parties competed to show how much they could help the people. (Time out for laughing). I suppose they don’t fear the voters because they assume that no matter how often they betray us we’ll vote them back in anyway. Make your calls and ask that Klobuchar and Smith WITHDRAW their support for S.2421. My Office has been inundated with inquiries about the lawsuit against 3M Company regarding fluorochemicals. The purpose of this advisory is to provide background on the litigation. Comments due Sept 15th: Support shut-down of polluting, resource-destroying incinerator in Benson, MN. I rarely support actions by Xcel Energy, but this time Xcel is doing the right thing in five matters (for its own reasons, of course). I’ll address these five in separate posts, as Xcel filed five separate matters before the Minnesota Public Utilities Commission. First, this one about the incinerator in Benson, PUC Docket r-002/M-17-530 (when searching PUC’s eDockets or eFiling comments, it’s the 17-530 that’s important). In one of the dumbest actions ever taken in Minnesota on an energy-related matter, a large “poultry litter” incinerator was built in Benson, Swift County. 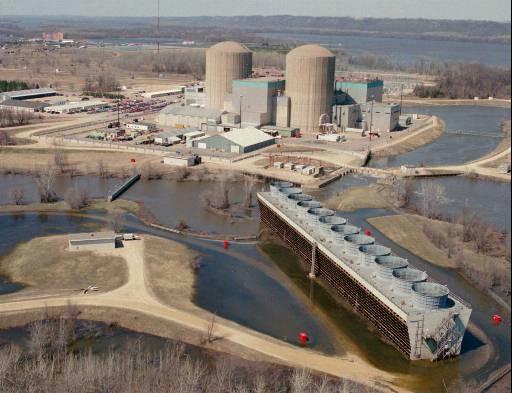 This was supported by many “environmental” interests in MN, as part of a 1994 deal to keep the Prairie Island nuclear plant operating. It was opposed mainly (only?) by David Morris — Institute for Local Self Reliance. As one would expect, this facility has a horrendous record of pollution and environmental violations. Its air emissions permit expired in 2008. Xcel is proposing to buy the facility and shut it down. This is good news. Xcel generally gets what it wants, (regardless of whether it should). The stated reason is to save Xcel’s customers money, and this the shutdown would likely do, as dirty biomass burner “Power Purchase Agreements” are inflated in cost. Since the burner has not been able to get enough “litter,” about one-half of what is burned is wood chips, and many comments opposing the shut down have come from logging interests and, disgracefully, from the Minnesota Department of Natural Resources. So far as I can tell, none of the enviro types, energy wonk types, regulators, or elected officials who supported this damaging incinerator scam have chosen to publicly admit their mistake and support the shutdown. (1) (less effective but easier) The PUC website has a “discussions” section but this has limitations including that dockets only appear here if they are officially open for public comment, and sometimes not even then. For example, the Benson burner docket is not there, although it should be. Search for docket “17” (year) and “530 (docket number). (2) (more impactful) You can use the “edockets” system to read, download, or print the documents in any docket you are interested in. You can use the “efiling” system to file your own comments in the Benson 17-530 docket — the next round of comments is due September 15. To use efiling you need to sign up and get a password, but it’s not hard. If you file comments after the official closing of public comment, they may or may not be considered. For example, the Commissioner of the Department of Natural Resources recently filed out-of-time comments opposing the Benson shutdown–arguing on behalf of the DNR’s friends in the logging industry. The “Public” Utilities Commission is not supposed to be just an industry playpen, though too often it seems that way! I have been involved in controversies over poultry litter incineration projects instigated by Fibrominn and its successors for many year and in several states. Such projects were rejected in various US states including Delaware, Maryland, Virginia, North Carolina, and Georgia. Thus, observers were puzzled that such a facility would be accepted in Minnesota. They especially were puzzled that “environmental” interests supported, or failed to oppose, the Benson proposal. The Benson project has been unable to secure adequate amounts of poultry litter and has become largely a wood burner. Poultry litter, in general, is about fifty percent wood chips and fifty percent bird emissions. Thus, the Benson facility, burning, as has been stated, about one-half poultry litter and one-half wood chips is in fact burning about 75 percent wood. Wood is a very dirty and chemically complex fuel, and nominal wood burners typically cause the same sorts of environmental problems as the Benson “litter” burner, while producing excessively expensive energy. Xcel, in its Petition, notes a “plant heat rate of 14,250 Btu/kWh per Benson Power’s 2016 budget.” This corresponds to a thermal efficiency of twenty-four percent. The most efficient coal units have heat rates of around 9,000 Btu/kWh, corresponding to a thermal efficiency of around 38 percent, and combined cycle gas units are over 60 percent efficient. Thus, I support the proposals of Xcel Energy to terminate power purchase agreements with various “biomass” burning facilities and to purchase and shut down the Benson burner. A review of the filings in this docket indicates—unless I have missed them—no mention at all of the environmental merits, or lack thereof, of the Benson facility. Similarly there is very little mention of the merits of the facility as a power plant. It seems that all the important issues are missed or disregarded. Unfortunately the actual cost of the Power Purchase Agreement is concealed as proprietary, although it is difficult to imagine any justification for this. The proposal to pay off the City of Benson out of the proceeds of the “Renewable Development Fund” are yet another abuse of this every-scandalous fund, essentially none of which has ever been used as intended to compensate Red Wing and Monticello for Xcel’s nuclear plant/waste presence. I conclude that the most important matters in this docket are yet unaddressed, and the comment period should be extended. Especially, it is scandalous that “environmental” interests, which initially promoted the agreement leading to the Benson facility, have not chosen to comment. I also contemplate petitioning to intervene in this docket. “Public Notice of Intent to Modify Air Permit 04900001-101” dated May 4, 2017, for the subject ADM facility in Red Wing. Please provide a copy of the “Consent Decree” referenced in various places in the Technical Support Document. The expiration date of the permit is February 28, 2011. I question the appropriateness of modifications to a long-expired permit. Can the MPCA provide assurances that the long-expired permit, as modified in the current action, would comply with all current State and Federal laws, regulations, rules, and agency guidance, and be adequately protective of the community? Has any ambient or fenceline monitoring been conducted to ensure compliance with air quality standards? Have the cumulative impacts of this facility and others in the area been evaluated? Has a Health Impact Analysis of this facility every been conducted? Some of the emissions from this may be allergens, soybean particulate, etc. Has this been evaluated for possible health and quality of life impacts? What makes this project “time sensitive” in the eyes of the MPCA? I am concerned about the statement “allows the Permittee to complete the construction-portion of this project during EPA review.” Construction should not be allowed to commence, let alone be completed, until the permitting process has gone to conclusion. Does the MPCA consider the EPA review an insignificant formality? Please provide the name and contact information for the Region 5 staff who will be/are reviewing this permit. At page 88 of the TSD (as pages are counted by the PDF viewer) begins a long series of line items entitles “PTE [Potential to Emit] by subject item.” The column headings are not aligned, but there seem to be entries for “Unrestricted Potential” and “Limited Potential.” In a great many cases the “Limited Potential” is given as zero. Just to pick one example, at page 95, emissions of “particulate matter” (undefined?) from “Bins/Harvestore” are given as 279 tons/year (“unrestricted”) and 0 (zero) “limited.” Since few if any air pollution control measures or devices are 100 percent effective, all these zeros seem questionable to me, and need further explanation and/or correction. Neither the Public Notice nor the Draft Permit nor the TDS contains any summary of the total emissions of the facility. (The large emissions of Hexane, for example). This fails, in my opinion, to give reasonable, good-faith notice to the public of why this permit action/this facility might be of interest from an air quality point of view. In view of the issues raised by even my cursory review of the Public Notice, the Draft Permit, and the Technical Support Document, the public comment period may need to be extended, else a Public Information Meeting may be needed. I’m a lifelong Democrat, but have known times and places where many of the more capable and honorable elected officials were Republicans. Cooperation existed and progress was made. Today’s Republicans often seem more like a hate group than a responsible political party. Consider the agenda of the present Minnesota House and Senate leadership: They are attacking freedom of expression with bills designed to harass demonstrators. They seek to shut down environmental protections and take from the poor and give to the wealthy. Evil-minded, punitive and vindictive bills by the dozens … and all too often these are supported by DFL fellow-travellers. “ HF113 / SF85 would (1) authorize Xcel to build a new power plant without getting a Certificate of Need from the Public Utilities Commission; (2) require the PUC to make Xcel customers pay for it, and (3) establish a scheme for an inflated rate of return for the plant. “The point of a Certificate of Need is to ensure that ratepayers don’t pay for unjustified capital projects. For Xcel to use its political clout in this way suggests the company knows the project cannot be justified except to inflate its “rate base” and thereby its profits. “These bills are discreditable to all the legislators involved, but especially concerning is that one of the Senate authors, Mike Goggin, who represents my district (21), is an Xcel manager. “Sen. Goggin’s authorship of a bill so flagrantly benefiting his employer at the expense of his constituents should be considered an ethics violation. The plant in question is a combined-cycle natural gas plant Xcel says it wants to build at the site of the present three “SHERCO” coal units. It is very unlikely that such a project is needed or makes economic or environmental sense.